This past Sunday I spoke briefly about some of the local organizations that we support. Here is some information on those organizations. Each campus at NewPointe has a local missions budget that allows us to support and partner with local organizations and help people in our community. Here in Millersburg we have a partner relationship with several organizations. Some we support monthly with a financial contribution and some we work with by providing volunteers, promotion of their services and fundraisers. We work with organizations that are well run, that help people in need and that are Christ centered. Love INC (In the Name of Christ) is a non-profit organization that works with all other non profits, churches, government agencies and individuals to help people in need. Basically they try to match people in need with churches, organizations and individuals that can help them best. They also identify services that are not being offered and help churches get those ministries started. Young Life of Holmes & Tuscarawas County – Their vision is that, Every adolescent will have the opportunity to meet Jesus Christ and follow Him. Young Life is active at West Holmes they also are active at Garaway. For more information about how to get involved contact Libby Pacula at mlpacula@gmail.com. Sharing their lives and the Good News of Jesus Christ with adolescents. Cru at Ohio State (formerly known as Campus Crusade for Christ). Quin is a graduate of Ohio State, he got involved in Cru there, it changed his life and he felt called to continue in the footsteps of staff that changed his life and do the same for future students . Quin Provides leadership to a ministry called GreekCru specifically for Greeks/men in fraternities, 40 young men are involved. He has worked with Cru for 2 years. Cru at Ohio State has 700 students involved. Quin is passionate about this ministry and is pouring his life into these students every day. I’m so encouraged with his ministry because he shares stories of life change and keeps us up to date on what is happening in the ministry. 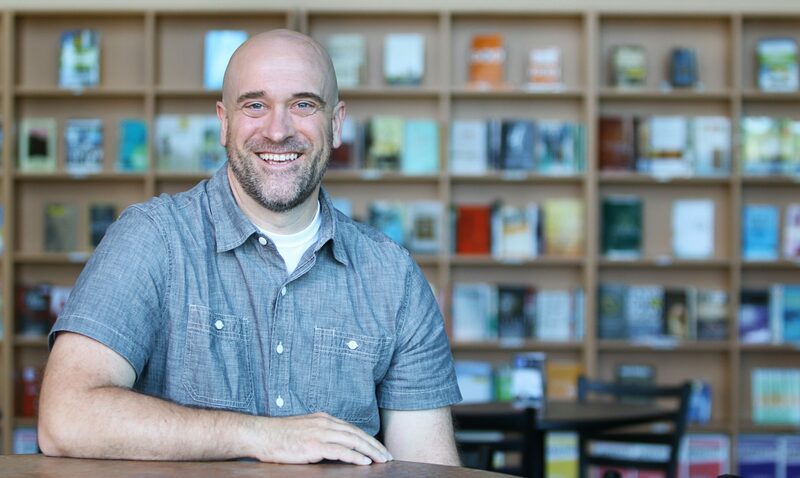 Students are realizing and reaching their full potential in Jesus Christ through the work of Quin and others at OSU. Millersburg Church of God Food Pantry – We are currently partnering with them to distribute food to elementary school students in West Holmes School District that are on the lunch program. We package food and send it home with them on Friday so they have food for the weekend during the school year. The Christian Children’s Home of Ohio located in Wooster. Keep Growing – If you want to serve the people you lead and the business or organization you work at, then grow. If you become a lid for the organization then you are not serving anyone well. To me this means that you are reading and studying your area of business. It means that you are talking to others that are doing it better than you and learning as much as possible about how to improve yourself as a leader and whatever product or service you offer. 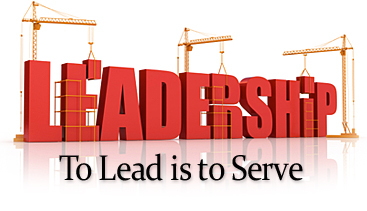 The bottom line is that servant leaders are constantly growing and changing and improving. The more you grow the more you can pour into the people around you. Have a Vision – You have to know where you are going and be able to articulate that to your team on a regular basis. A servant leader is constantly reminding everyone about why we are doing what we are doing. Where we are heading and what the win is every day. Casting vision is vital to being a servant leader. Think Strategically – A servant leader must be thinking ahead and planning. One of the best ways you can serve people is by being well prepared and by thinking of things that could wrong before they go wrong. This involves analyzing what is working well, what is not working well, what is missing and what is confusing. Going through that process with your team will help bring clarity to the work being done. Collaborate – Servant leaders realize they don’t have all the answers, so they will involve the people around them in the decision making process. They will ask what other people think and be open to new ideas and suggestions. They allow other people that know more about the situation to make decisions and then back them up. Servant leaders are also very open about what is happening and what is coming, they don’t keep secrets from their team. Empower People – This is one of the most powerful principles of servant leadership. It’s developing people and then allowing them to do their jobs. Servant leaders do not micro manage unless a person needs that extra attention. Empowering a person is trusting them to make decisions, without having to always check with you first. This can feel risky at times, but it builds your team and develops leaders. People learn from mistakes and it allows you to coach your team along the way. Hold People Accountable – This is another important servant leadership principle. When you are leading someone it’s important to be clear about what the expectations are and what results you want. It needs to be in writing and you need to talk about it on a regular basis. Setting goals and objectives with your team and then asking for regular updates on the progress is a great way to serve your people. When someone is not hitting the goals or meeting expectations you serve them by having honest conversations with them and telling them the truth and coaching them on how to get back on track. Care About Others – Finally the people you lead need to know that you actually care about them. That they are more than just an employee that is getting results. This means you have to get to know your team. Find out about their family and personal lives and ask them how they are doing. It means taking time to have conversations with them and carve out time to have fun together as a team. If your all business all the time you won’t connect with your team and your not serving them well. When you take time for people especially when they are going through a crisis it’s a game changer – People don’t care how much you know until they know how much you care. One of my favorite books is found in the Bible in the Old Testament. It’s the book of Nehemiah. It’s a story about a man that led a movement to rebuild the walls around Jerusalem, a city that had been destroyed and in ruins for many years. The reason I like this story so much is because it demonstrates how much can be done when a person works hard and involves God. The first step in any venture is to pray – The first thing Nehemiah did when he heard how terrible things were back home was to pray. He talked to God and pleaded with God to help. He also confessed sin for himself and his people, and he asked for specific help in having favor with his boss. Prayer was his first response, Nehemiah knew that on his own he could not accomplish what God and he could do together. When we face a challenge in life the first thing we need to do is talk to God, confess our sin, ask for his help and be specific in our requests. People under God’s direction can accomplish impossible tasks – Nehemiah was a talented leader but he knew he could not accomplish this huge task without the help of God and other people. He put a plan together and asked for help from many different people. He was able to keep the people focused on the most important things and not get distracted or paralyzed by fear. He kept encouraging the people and praying for help, wisdom, protection and courage. When you have a big vision and you include God on everything and you stay focused, amazing things can happen. 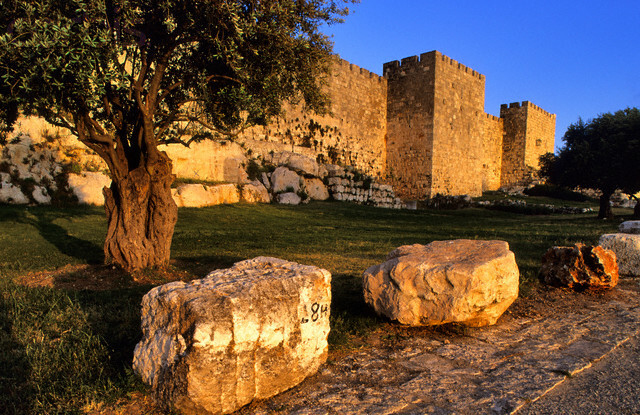 They rebuilt the walls around Jerusalem in just 52 days. There are two parts to real service for God: talking with Him and walking with Him – Serving God means including Him in every area of our lives. It starts by talking with Him through prayer, this builds intimacy with God, a closeness that can only come from spending time together. It also means walking our everyday lives with God. Walking with God is simply including Him on the good and the bad in your life. It’s continually acknowledging that He is in control and that we are seeking to do His will and not our own. Walking with God is also asking for help when tempted, confessing when we mess up and getting back up and continuing on after we fail. 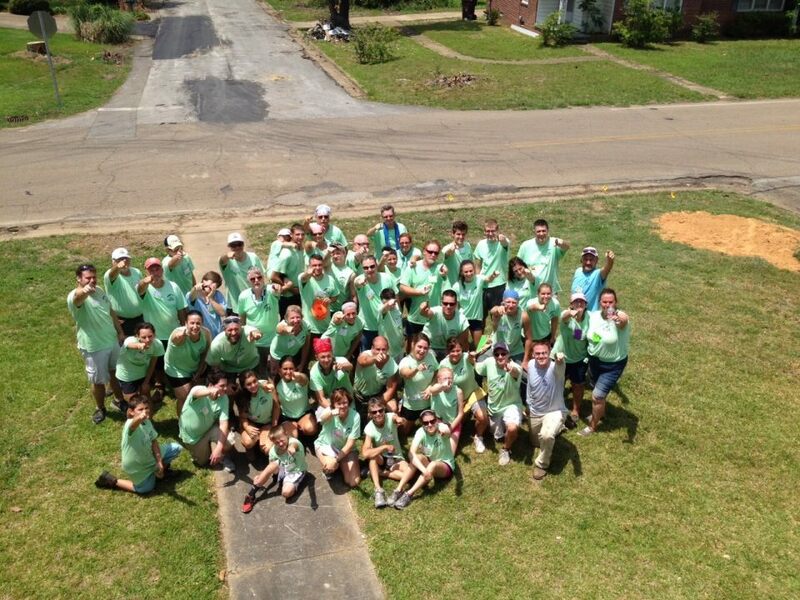 Last week I went on a mission trip to Tupelo MS with the organization Eight Days of Hope. This was the second time I’ve gone on one of these trips with 8DOH. Back in late April of 2014 Tupelo was hit with a devastating tornado. The damage was far reaching and the city is still trying to rebuild and regroup. Basically 8DOH goes into a community and works with local churches, non-profits and the government officials. They only go to communities that want the help and are open to a Christian organization. They focus on homeowners that are uninsured, under insured or that need help beyond what insurance will pay. 3,023 volunteers from 37 states served at Eight Days of Hope XI. There were around 60 people from NewPointe Community Church that went. We worked on 235 homes, multiple churches and multiple parks. We finished 451 jobs with 159 homes being completed. Three homes were built from the ground up. Total amount of work done exceeded $4.4 million dollars. BUT…the most important thing was we had a chance to share the joy, the hope the love of our Savior Jesus Christ. Team work is vital in accomplishing big things – This trip showed me once again how important teamwork and unity are in getting a lot of work done. It takes humility, patience and trust to make it all happen. It takes multiple leaders, taking responsibility and working toward the same goal. When planning and hard work meet up with God amazing things happen – A lot of planning and preparation happened before and during those eight days, but God was invited into the process and He accomplished more than anyone would have expected. God moments happened every day. Every job is important – I was reminded that every project was important because it touched a person or a family. Whether it was cleaning up a yard, building a fence, roofing a house, building a deck or fixing a door, it’s all important. No job was too small or too big, it all mattered, because it was an expression of love. It’s important to serve the volunteers and minister to them as well – 8DOH did a great job of serving the 3,000 volunteers and focusing on ministry to the many people that were giving such a significant amount of time and energy. They had programmed times for worship, fellowship, entertainment and free time. People love to tell their story – I heard several stories from the local people about how this storm had impacted their lives and how 8DOH brought hope back to them and their families. Talking about their story helped the people to move forward and get past the tragic event of the past. I also got to hear stories from other volunteers and got to know them better. Ask questions and find out more about the people around you. It’s all because of Jesus – The reason people give up their vacation or personal time to go on a trip like this is because they love Jesus and want to help other people. We are the hands and feet of Jesus and this is one way we as followers of Christ can show love to other people. 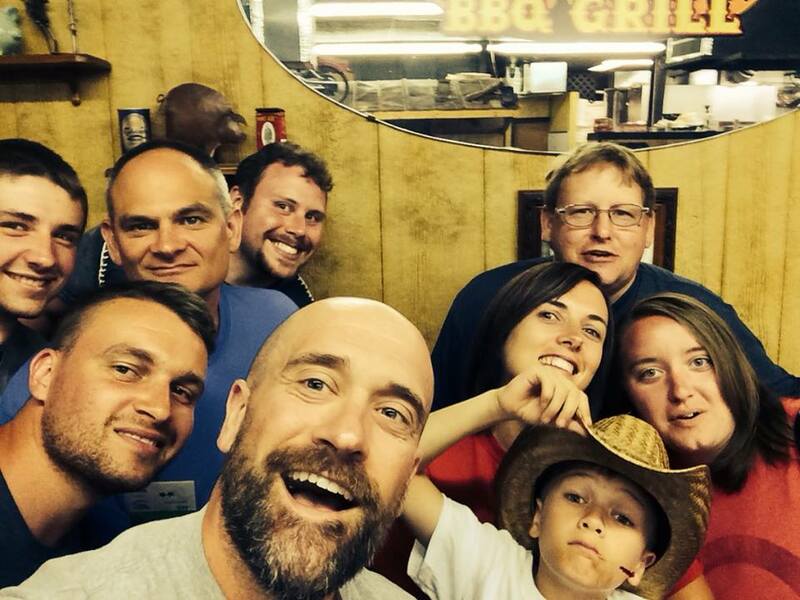 I’ve been on many mission trips and every time I have been deeply impacted in a positive way. I have gotten to know other cultures and other people in different parts of the world. I gotten to talk with people I would never have met, if I wouldn’t have taken the risk and decided to go. Maybe God has been nudging you to consider go on a trip like 8DOH or maybe another mission trip. But the cool thing is we don’t need to go on a mission trip to love and serve people. 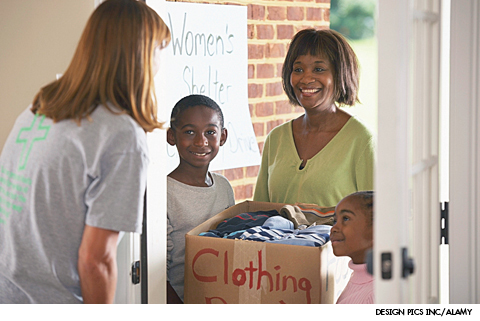 There are many people in our own communities that are in need that we can serve and love and help. All it takes is a willingness to give some time and talent and muscle or to listen and encourage.